James (Jim) E. Lukaszewski (Loo-ka-SHEV-skee) is one of America’s most visible corporate go-to people for senior executives when there is trouble in the room or on the horizon. 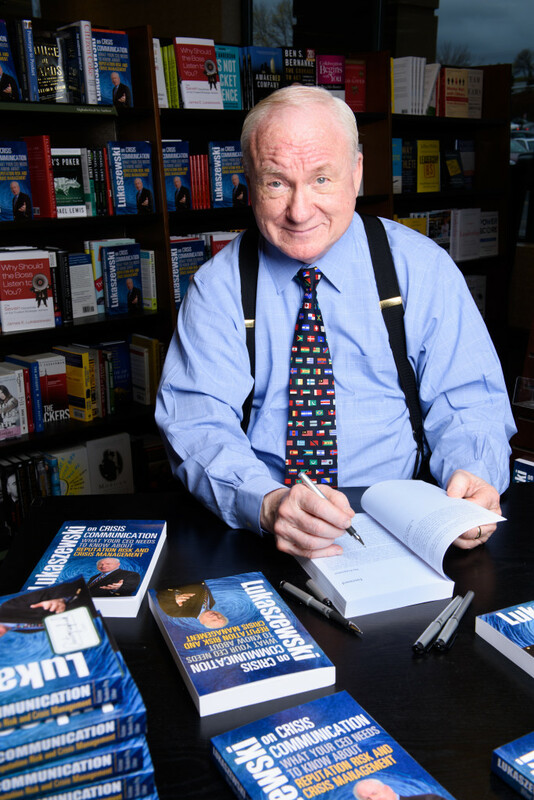 As America’s Crisis Guru®, Lukaszewski is known for his ability to help executives look at problems from a variety of sensible, constructive and principled perspectives. He has spent his career counseling leaders of all types who face challenging situations that often involve conflict, controversy, community action or activist opposition. He is known for taking a business approach rather than traditional PR strategies by teaching clients to take highly focused, ethically appropriate action. He is a consummate storyteller. He is often retained by senior management to directly intervene and manage the resolution of corporate problems and bad news while providing personal coaching and executive recovery advice for executives in trouble or facing career-defining problems and succession or departure issues. Throughout his career, beginning in 1974, his skills, knowledge, ability and professional leadership have been recognized continuously. His biography has appeared in more than 30 editions of various Who’s Who annual editions. He has been recognized for lifetime achievement in his profession by most of the major public relations organizations in the United States. He served for 22 years on the Public Relations Society of America’s Board of Ethics and Professional Standards (BEPS) and is now its first Emeritus member. His thirteen books and hundreds of articles and monographs have informed the profession for decades. Wherever you study public relations on the planet, you’ll read something or see something from or by Jim Lukaszewski.